The method of Long Slow Distance training (LSD training) was developed by the German Ernst van Aaken in 1940s and was according to Tim Noakes later rediscovered by Joe Henderson who labelled this kind of training as “long slow distance” or LSD training. Why should I give Long Slow Distance (LSD) training a try? The LSD training will increase your ability to burn fat as source energy and conserve glycogen, which will basically let you run farther before fatigue overcomes you. Your cardiovascular system will improve and your VO2 max enhance. With LSD training you will also increase your mental strength. Do not exaggerate with long slow distance training (LSD). Most runners will schedule LSD training for every two weeks, which is more than enough. When training for a marathon or if you are an experienced runner, reserve every Saturday or Sunday morning for LSD training. At least two weeks before your marathon stop with LSD training. An increased fat metabolism and endurance is the key to a successful long-distance run like a marathon. It is not that important for a 10K run or a half-marathon but it will help you to overcome the fear of distance and boost your self-confidence. You can learn a lot more about LSD training in practice! 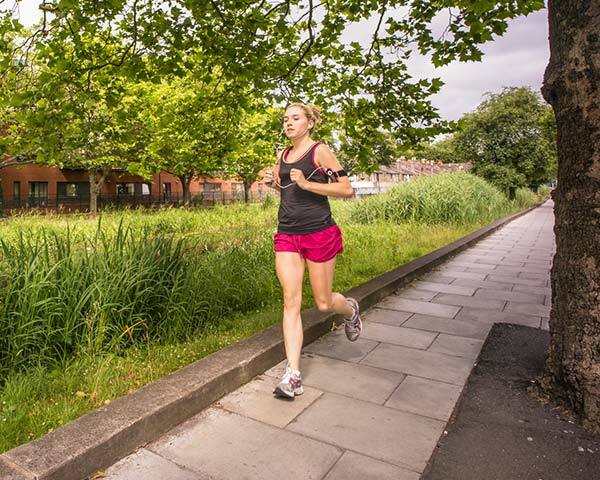 Join our small group running sessions and ask the experts in person!